Thank you for your support. Together we can do great things to Energize Education in Santa Cruz City Schools! Let’s face it, the school board needs new energy! 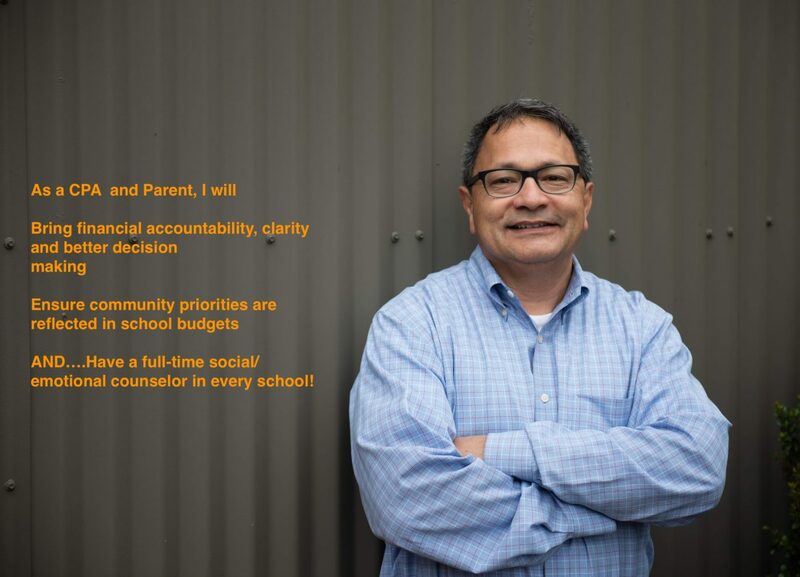 Involved at both the school and district levels as the parent of a Latina teenage daughter attending our schools, I have the visibility, skill set and energy to improve our school system. Already, as a Santa Cruz Education Foundation leader, I was the reason for a $300,000 National Science Foundation Computer Science for ALL grant that will help prepare our students for the jobs of the future. Already, as a PTA leader, I was the reason for a National Center for Women in Technology, Girls in Technology program that partnered with UC Santa Cruz. As parent and volunteer, I have observed social-emotional stressors on our students: Gun violence, cyberbullying, social-media. I propose a Board Committee to research and implement innovative partnerships with county mental health, and to leverage grants for an increase of social- emotional counseling support to our students. As the only candidate or current board member with professional finance experience, I would add financial leadership, board governance, and accountability skills to the board. I currently work in a Finance oversight role at Stanford University and I’m a CPA. I believe in listening, problem solving, and taking action mindfully. I welcome both your ideas and support. Please share them with me at rocco4sb@gmail.com.